This unique model shows the atlas, axis and 3rd cervical vertebrae in relation to the occipital. Twice life-size, it is mounted on elastic cord to allow movement. Size: 7-1/4" x 4-1/2" x 5". 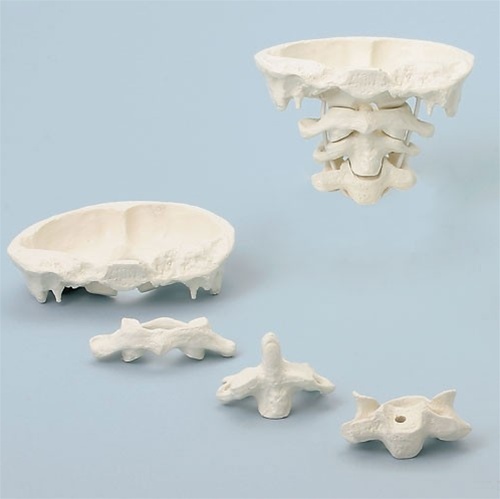 ORTHObones Standard Thoracic Vertebra ORTHObones Standard Cervical Vertebrae Cervical Spinal Column 5 Vertebrae - Atlas, axis, cervical, thoracic and lumbar vertebrae. Loosely threaded on nylon. The item doesn’t come with the black fasteners as the picture shows in the website. It was very difficult to use the item as an educational tool without the fasteners. Contacted the customer service and I was told that it did not come with the fasteners. I had to return the item and the return shipping cost was $17.30. Requested the return shipping to be refunded since the item was not as described. The customer service claimed that the item was as described. How could the item be as described when the fasteners were not included? Very DISAPPOINTED with the way the customer service handled the situation and the description of the item on the website. 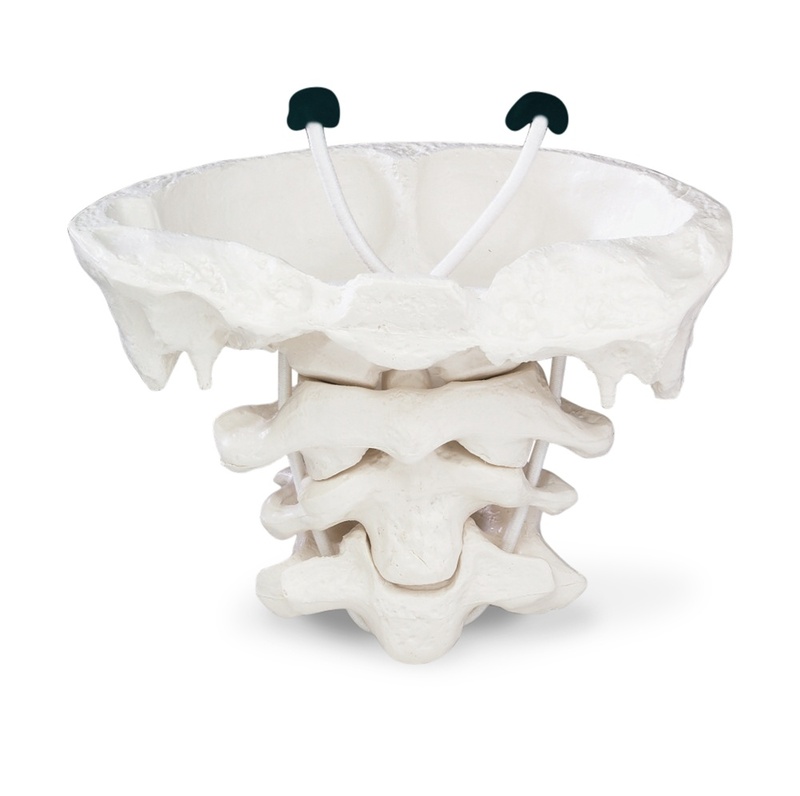 Oversized model perfect for demonstrating Atlas position in relation to Axis & occiput, also shows SSpinous process of C2 in relation to C3 as far as sizes changes when going down spine. Also acts as a nice conversation piece & business card holder. As a teaching model, this slightly oversized model is perfect to share with a group. The anatomical landmarks and arrangement were all accurate. The elastic cord is very durable and allows for easy manipulations in illustrating pathology and postural dysfunction. The vertebrae and occipital bones are excellent quality. Only wish it had a brain stem / nerve arrangement within to better illustrate potential impingements.